There are many different types of books that have been published; all shapes and sizes, lengths – some short, some very short; some long, and some behemoths! Accordingly, there are many different types of reviews to go with these books. Sometimes there is a correlation: a short review for a short book, a long review for a long book (I tend to do the latter, especially if it’s a long book that I enjoyed, such as Under the Dome and The Way of Kings). But when it comes down to the type of book, different thoughts and processes need to be employed, especially in the case of the fiction book versus the nonfiction book. When it comes to writing a book review on fiction, the two parameters to keep in mind are the story and the characters. (There’s a minor third, writing, that I will get to later.) 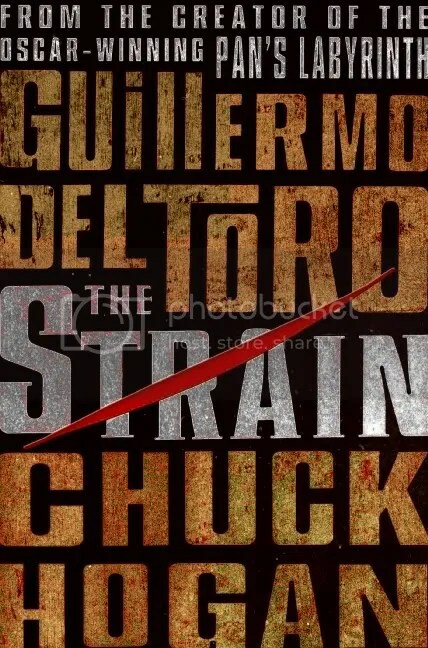 I’m a story kind of guy, so if it’s a good story, I’m hooked right away, and that tends to be what I look for in a book I’m interested in reading. I certainly get picky with books that take a while to get going, especially if the world isn’t interesting enough to get me hooked or at least keep me interested. The second parameter is character, which can pretty much always save a book, if the story isn’t doing it. Now, I’m not saying that a terrible story can be miraculously saved by a strong character or two, but a story that doesn’t really seem to be going anywhere, or is dragging along, trying to pick up steam, can be kept alive with its characters. Some people read books solely for characters, and decide to read certain books on this premise. Characters can be interesting, or complex, or have some unusual tic that the reader may identify with or just keeps them interested; or it can be all these things. 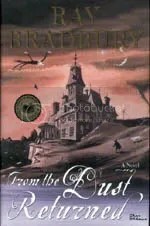 The quasi rule is that a good story can keep a book alive, even if the characters aren’t really doing it for you; alternatively an interesting character can keep a book alive, if the story seems like its going nowhere fast; ultimately it will be up to the reader whether one or other of these facets holds out and keeps them reading. Now, there is technically a third parameter, which is the writing; but it tends to be the weakest of the three in keeping a book alive, at least for me personally. If the story isn’t doing much, and the characters aren’t that engrossing; good, creative, original writing can hook a reader in. But for me, this is certainly on a limited time, as good writing will only keep me going for so long, if the characters don’t get interesting, or the story doesn’t go somewhere. When writing the fiction review, its important to touch on these parameters of the story, what made it compelling, what it was that hooked me, and a decent amount of the actual story but not too much to give everything away (see How I Write a Book Review for more on this); the characters, what makes them interesting and unique, and again what I liked about them; and finally if the writing is unique and impressive, to discuss what I enjoyed so much about it and what made it different from anything else I’ve read before. For the nonfiction book review, it’s a whole different entity. Once again, the story and characters and writing each play their own part, but in a completely different way to a fictional book, for this is a tale of fact and reality; a true story. The story in nonfiction relies more on how it is formatted and arranged. Sometimes it’s chronological – which is most popular with biographical works; others have framing chapters to set the scene; some chapters end with cliffhangers, to hook the reader on to the next one. This has actually been a relatively new development in nonfiction, at least that I’ve noticed in my reading, with creating almost a fictional arrangement to a nonfictional story. The book that fits this profile most is The Lost City of Z, where the story of a man’s life is told like an adventure story or thriller, with each chapter ending on a gripping moment or cliffhanger, making the reader want to keep reading. It’s certainly an interesting turn on the stereotypical work of nonfiction, which implies the idea of being read at a slow and easy pace, to absorb everything that is being covered, and to be ingested piecemeal. With The Lost City of Z, the reader is hooked like they are in fiction, wanting to find out what happens next; the fact that it is a true story serves as an enjoyable reminder to the reader. When it comes to characters in the nonfiction book, if the author is aiming to be true to who the story is about, there’s really very little that can be changed from who this person really was, and what the sources say about him or her, depending on how much of their lives the writer chooses to tell. But assuming the author wants to tell the correct story of this particular person, when it comes to telling the story of the character, they can be presented in a “by the facts way,” which can often lead to a stagnant story that plods along at a slow pace and doesn’t necessarily hook most readers. Naturally, there are always exceptions to this, and some readers love and prefer this type of writing and seek it out, when it comes to nonfiction. On the flip side of this particular coin, characters that have seemingly dry, boring lives can be completely brought to life by a talented author with a great writing style. As I mentioned earlier, story, character, and writing play a part in the nonfiction book review, but in different ways, on a different stage. The story is what it is, because it is one that actually happened, and shouldn’t be embellished or altered; how the writer chooses to tell it, in what particular format, can lead to a seemingly dull story becoming a fascinating, engrossing one. Characters can be brought back to life, in a new light that may be as true to how that personal actually was, but still told in such a way that keeps the reader thoroughly interested. In the case of the nonfiction book, the story and character tend to be one and the same for the book that is being written; constantly linked, since the story that is being told is usually that of the character featured in it. As for writing, it can help bringing a seemingly simple story about an ordinary character to a whole new life and vitality that may not have existed before with the primary sources available. In writing the nonfiction book review, like the fiction one, it’s important to tell part of the story going on, but not to give absolutely everything away; however there are also exceptions to this, because it is a work of nonfiction – and especially in the case of the biography – the complete story is likely already known, so there are no real surprises to be had, unless this is brand new material that has been discovered and is being revealed in this particular book for the first time. So in some reviews, I will tell most of the story of the book (such as with Einstein, His Life and Universe and The Little Book of Atheist Spirituality), or as in the earlier mentioned case of The Lost City of Z, I will only give so much of the story away to keep the reader hooked. Whether I’m writing a book review on a fiction book or a nonfiction book, there are some similar ideas and thoughts I take into account each time I sit down to write one or the other, but there is also a necessary distinction between the two, which makes me think differently with each type of book review I’m writing. Pretty much from the start of this blog, I’ve been meaning to do a number of posts on writing book reviews, how I write them in particular, and what I think about the different types of book reviews and the way they are written. It’s only taken a couple years, but this marks the first post in the series I’ve been wanting to write. I’m sure if you scour the Internet you’ll find a number of sites and documents and perhaps even treatises proclaiming how to write the ideal or perfect book review, and how there is a set form and format to it that cannot be diverged from, if one is seeking to create said “perfect book review.” However, as anyone who hasn’t had their head stuck in the ground (or perhaps print journalism) for the last decade knows, most of these “ideal” ways of writing a book review are aimed at newspapers and magazines, but with the advent of blogs — both professional and personal — where many people write their own book reviews, or just even blog posts on specific books they’ve read — the dynamic of the formatted book review has changed and in most cases doesn’t really apply anymore. Many people have many different ways of writing book reviews. There are also many people who feel certain ways are completely wrong, and that there is only “their way,” but this is what writing and the Internet is all about. Just as there are many books in the world, and many of them I wouldn’t ever be interested in reading, but there are still many people who would and do read and buy the books. Enough about that. Long story short: different people like different types of book reviews. 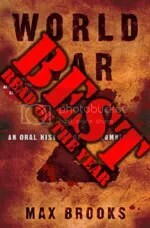 Now, when I sit down to write a book review it will depend on the type of book it is (genre, story, etc. ), how much of a fan of the author I am — I tend to write longer reviews for authors I’m a fan of, as well as books that are long (see Under the Dome and World Without End) — and what publication I am writing the book review for, as there may be a word count limit. Here’s the basic mental outline I automatically make when doing a book review for a book I enjoyed; I have a standard three to four paragraph layout. 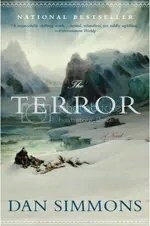 Paragraph 1: I usually begin with two to four sentences to kind of hook the reader into the book; much as you want the cover and first line of a book to be captivating, you want a similar effect with the opening paragraph of a book review — especially if it’s a long one and you want the reader to keep reading to the end. Sometimes I’ll open up with a general fact that I find interesting about the author or the particular books the author writes, such as with Mary Roach’s Packing for Mars. Other times I’ll deliver a short one-liner and then go into a brief couple of sentences about the author’s other books, especially if this is a sequel, such as with Velocity by Alan Jacobson. 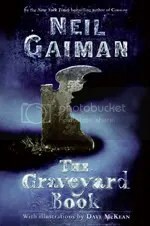 In cases where I don’t know much about the author or his or her books, and this is the first book of theirs I’m reading, I’ll do a couple of sentences on what the author has done before and then give a brief hook on why this particular book is a good one, like with Jonathan Maberry’s Rot & Ruin. Paragraph 2 (and 3): The next paragraph or two are usually the long ones where I’ll make a summary of the story. There’s a fine line to be made here, balancing how much of the story to tell, but also keeping lots left to be discovered by the reader. A general rule of thumb is you want to reveal who the characters are, perhaps a little about their background, and where they’re headed in the story; about the first third of the book is usually a safe bet to tell. Again, it depends on the type of book, and when in the story the action and plot lines really get going. For some reviews, such as Handling the Undead and American Vampire, it becomes necessary to reveal a large part of the plot to actually show what is going on in the book, but it’s always important to keep a number of secrets hidden for the reader to discover when they read the book. One rule that must always be followed is an easy one: never give away the ending. I know there are people out there who read the ending first thing, before they even start the book, and those people are just darn weird; but you don’t give away any sort of ending in a book review (unlike a number of movie previews I’ve seen). I’m the type of person who very much doesn’t like to get spoiled; usually once I have an idea of what the book is about and I’m interested in it, I’ll just start it without reading the inside flap or the back of the book. For me it’s all about the mystery and having no idea where the story is going to take you. Final Paragraph: If the reader is still on the fence about whether to read the book or not, this is the final chance to get them. Here is where I usually talk about the writer and/or the writing, the style, the language used, what I enjoyed about the writing, such as with Amber Benson’s Among the Ghosts. Or I’ll talk about what I particularly enjoyed about this book and why I think people should read it, like with Seanan McGuire’s An Artificial Night. As for the last line, by this point you have to have captured your reader and made them want to read the book; the last line isn’t going to make much of a difference one way or the other. I generally end with a question of what the author will do next, or what the next book in a series might be, or a quick one-liner on why I enjoyed the book. And there you have it. This is what goes through my head when I write an ordinary book review. Coming up in the rest of this series will be how I write a review depending on the type of book, such as genre — fiction vs. nonfiction, etc. 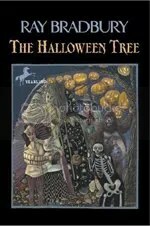 It’s that time of year again — Hallowe’en — and this year I continue a tradition I started in 2007 where I read my personal favorite Halloween book: The Halloween Tree by Ray Bradbury. Since ’07 I have built on the Halloween reading, adding some Edgar Allan Poe and whatever else I think my be fun and enjoyable and Halloweeny during the week leading up to the fated night. And it seems like Neil Gaiman himself wants to do something similar with his modest proposal to have more days during the year where we give books as gifts, and proposes for Halloween to give scary books to people — kids or adults — as well as to read scary stories. He even put up a quick website that will grow and build over the coming year in time for next Halloween. On the site there’s a page of recommended articles with suggested Halloween reading from the Washington Post, Joe Hill’s blog, The Huffington Post, and How Stuff Works. From the fall of 1999 until my graduation in summer of 2003, I worked in a variety of positions at the student-run campus newspaper at Cal State Long Beach, the Long Beach Union. The periodical, now known as the Union Weekly, has been running pretty much in some form since 1977, and now even has a Facebook page. Back in my day Facebook didn’t even exist! It was with the Union that I first began reviewing books, then became the Literature Editor, requesting and received lots of review copies of books, and began a very crucial step on to creating BookBanter. And now I’m resurrecting these reviews — as I collected every thing I ever published in the Union — and putting them up on BookBanter. Not sure on when exactly these were written, so I’ll just have to go with the publication date. But don’t worry, it will be piecemeal, and I don’t think there are that many of them — though we shall see — but there will be no 15+ book review posts per day. Those days are thankfully gone. But this trip down memory lane should be fun. Today I discovered I’ve achieved one of my goals. I’ve been reviewing books now for over ten years, starting in 1999 for the Long Beach Union. During the month of March I will likely hit the 300 review mark for the BookBanter site, and while my initial goal with reviewing books has always been to critique what I’ve read and then to interest and entertain (and in some cases warn) readers about various books, I have also been looking to gain a popularity and notoriety with my book reviews, and now with my BookBanter podcasts. And now I’ve achieved another goal in getting a quote of one of my reviews not only mentioned in a book, but featured on the front cover, which is more than I could wish for. 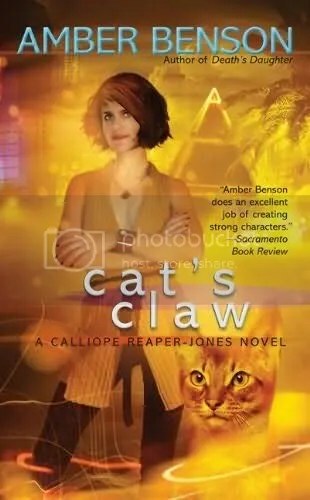 The book in question is the recently released Amber Benson’s Cat’s Claw, the sequel to Death’s Daughter which I reviewed for the Sacramento Book Review almost a year ago. Here’s the review, and below is an enlarged photo of the book cover with a quote from my review on it. This is great for the Sacramento Book Review, but also makes me feel pretty great. Feeling pretty psyched right now. And for anyone interested in revisiting, or perhaps checking out for the first time, my interview with Amber Benson, click here.